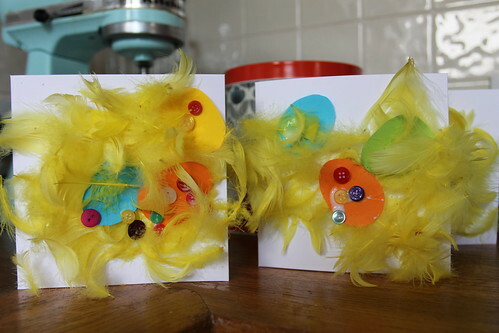 Lazy Seamstress: Easter cards and more messy play. I was honestly a bit stuck for ideas for Easter cards this week. I'd been stocking up on Easter craft items for a few weeks. The little ones had painted plaster eggs, and decorated Easter bonnets, but I couldn't quite think of a suitable card design. This was very last minute. a feathery nest, some paper eggs and some buttons for decoration. Not bad for a last minute make I don't think. 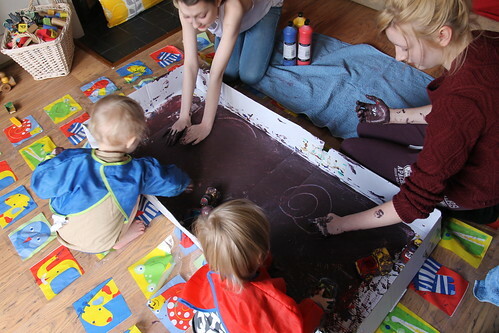 With Easter crafts all complete, we turned our attention to messy play for the last day of this term. 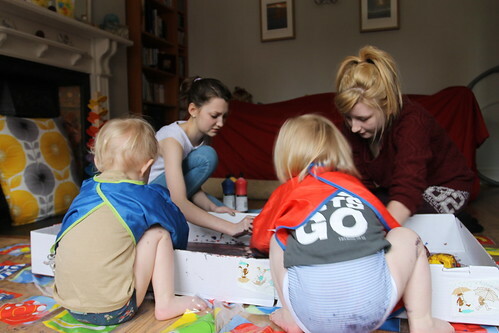 Usually we have messy play at the dining table. 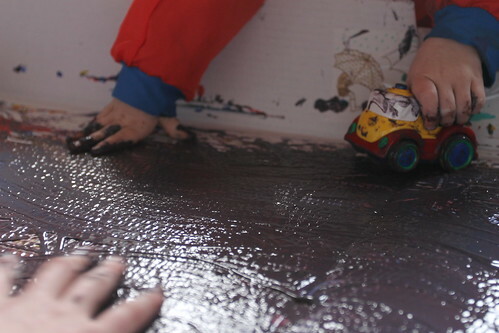 I use lots of plastic sheets, and bowls, trays etc. The boys always enjoy it, but not as much as when we can spread out a bit. 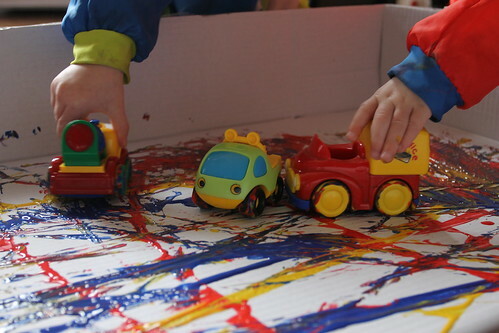 Outdoor messy play is fun, but barely possible in the horrible cold weather we've been having lately. So, I decided to improvise with the space we do have indoors, as I have before I covered my new sofas in old sheets, rolled back the lounge rug and covered the floor in plastic sheets and old towels. Luckily I had a couple of willing teenage helpers, who actually I think enjoyed the experience as much as the toddlers!
. Almost all significant shops, stores and food markets recognize plastic credit cards intended for purchases.